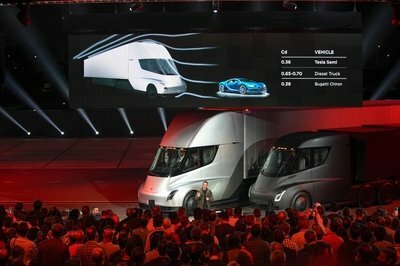 Elon Musk and Tesla have defied the odds by finally debuting the automaker’s first stab at the commercial trucking industry. It’s called simply the Tesla Semi and it finally broke cover at a media event on November 16, 2017, after years of teasing. 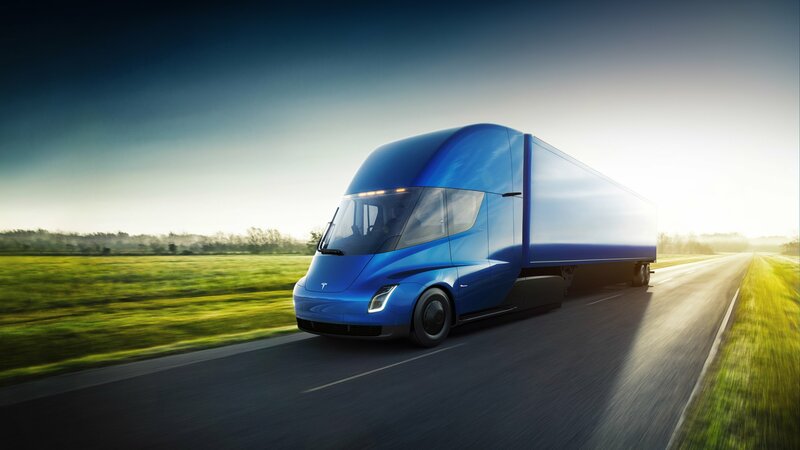 Debuting alongside the hot 2020 Tesla Roadster, the Semi is designed to reinvent the way trucking is done. Tesla says its all-electric drivetrain will give more than 500 miles of range on a single charge while towing 80,000 pounds, be far less difficult to maintain, and outperform convention semi trucks in both performance and safety – all at a lower operating cost. That’s a tall order. Oh, and it’ll hit 60 mph in just 5.0 seconds when unloaded. Along with the Semi, Tesla will be releasing a new charging system. It’s called the Megacharger and it’s a high-speed DC charging station capable of adding roughly 400 miles of range in only 30 minutes. Tesla says the Megachargers can be installed by fleet operators anywhere along their routes and will be common at truck stops in heavily trafficked areas. The Tesla Semi looks like the future. Ask a 10-year-old kid to draw what an 18-wheeler might look like in 50 years, and this is probably what you’d get. Every shape is new since the Semi doesn’t have a massive turbodiesel engine to contend with. Rather, the massive battery pack is located between the frame rails, way down low. That gave Tesla designers nearly free reign in shaping the truck. Naturally, aerodynamics is a big factor, so the front looks smoother than a proctologists’ tool set. Tesla will apparently offer both a low-roof and high-roof model. The Tesla Semi further separates itself from conventional semis with its interior. The driver is positioned front and center within the cab, putting him in the perfect position to see everything around the front end of the truck, aided by the short overhangs and 360-degree camera system. Two large touchscreens serve as workstations, the gauge cluster, system controls, and displays for the cameras. Behind the driver is a sleeper cab, offering a place to relax while on the road. 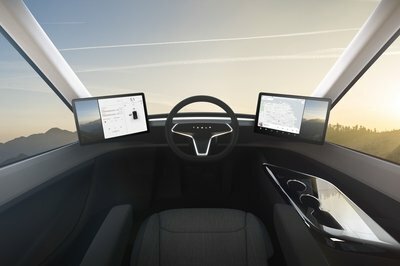 And speaking of relaxing, the Tesla Semi will come with Autopilot, allowing the driver to hand over driving duties to the computer. The Semi is also programmed to follow a convoy, which has one truck leading the way and a gaggle of autonomously controlled Semis following behind. Vehicle to vehicle communications keeps the convoy in sync and allows each truck to brake and accelerate simultaneously with those around it. Naturally, this would make for a lessened workload for the driver. The built-in computer systems and tablet screens also contain the driver’s logbook information, making it easier to keep track of mileage on driving time. Specifics have not been given regarding the kWh or physical size of the battery pack, but Tesla says the electric motors are derived from those used on the Model 3 and are validated to last more than a million miles. The battery will supply enough charge to drive 500 miles at the legal load limit of 80,000 pounds. The truck is also said to scale five percent grades at 65 mph without losing momentum – a feat mostly turbodiesel Semis can’t do past 45 mph. On flat ground with 80,000 pounds in tow, the truck will consume less than 2.0 kW per mile at highway speeds. Performance wise, the boundless torque of the electric motors will allow the Tesla Semi to hit 60 mph in just five seconds without a trailer and 20 seconds when fully loaded to 80,000 pounds. Plan out a full minute to hit 60 mph in a conventional semi. As for brakes, the Tesla Semi uses regenerative braking. The regen brakes are said to recover 98 percent of kinetic energy before converting it to electrical energy to recharge the battery. Since the conventional friction brakes only handle two percent of the load, they are expected to last the life of the truck. One of the biggest highlights of the Tesla Semi is its safety features – both active and passive. On the passive side, Tesla says the Semi’s architecture is designed to handle impacts better than regular 18-wheelers. An impact resistant windshield helps guard against flying debris on the road. Tesla even demonstrated this with a flying trailer hitch ball mount. The glass breaks, but the steel tube and hitch ball are kept outside the truck and away from the driver’s face. The Tesla Semi’s low-slung battery pack will also help keep body roll under control. With the majority of weight near the ground, the Semi will have a smaller chance of rolling over in an accident. Should something happen, the battery is protected in a reinforced shell. But preventing accidents is what the Tesla Semi does best. 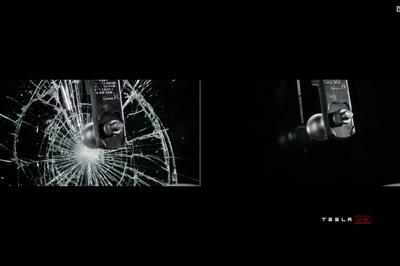 It uses its 360-degree camera system to automatically warn the driver of dangers lurking around the truck. The Semi also has Enhanced Autopilot, Automatic Emergency Braking, Automatic Lane Keeping, and Lane Departure Warning. And like the last airplane you flew in, it’s got an event recorder that saves everything happening in and around the truck before, during, and shortly after an accident. 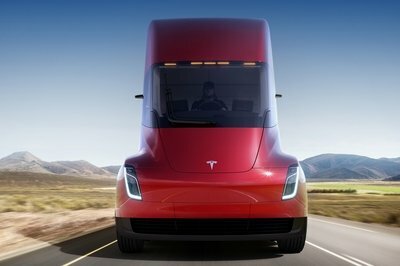 Tesla has not confirmed how much the Semi will cost in total, but companies wanting a shot at early ownership can pay a $5,000 down payment for each truck. News of supermarket chains Wal-Mart and Meijer, along with the trucking giant J.B. Hunt have already placed orders. 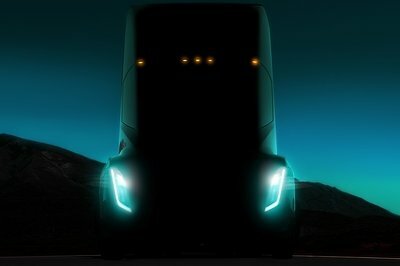 Despite not knowing the actual price of the truck, Tesla says the Semi can save roughly $200,000 in fuel costs alone when compared to a diesel-powered semi over a million miles. (And yes, a million miles is about the life expectancy of a semi-truck.) That saving is possible thanks to low electricity costs. The average price hovers around $0.12 per kWh in the U.S. and can even be lower for large-scale industrial users. 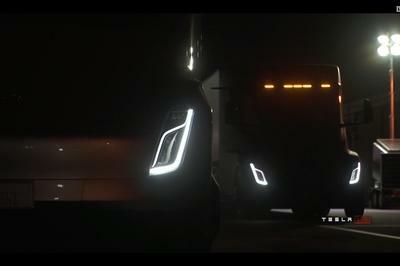 Regardless of the actual specifics, Tesla claims companies will save money by switching to the all-electric Semi. Tesla is no stranger to making big promises and taking forever to deliver on them, so only time will tell how things transpire with the Tesla Semi. If history teaches us anything, the Semi will be delayed multiple times and be shrouded in secrecy until hype of its introduction dies down. Don’t get us wrong – we’d love Tesla to reinvent the way commercial trucking is done while saving companies money and reducing the amount of local emissions on our highways. The Tesla Semi is important for regular folks for several reasons. One, the truck could potentially reduce shipping costs and therefore the price of goods. Two, it could increase safety on our roadways. Three, it would improve the flow of traffic thanks to convoys, active safety systems, and better performance. Four, it would make roadways quieter since loud diesel exhausts would be eliminated, including engine braking devices like the Jake Brake. Only time will tell if Tesla Semi succeeds. If any automaker or billionaire entrepreneur could pull it off, it’s Tesla and Elon Musk. Mercedes-Benz just unveiled the X-Class, its first mass-produced pickup truck, and while it may seem weird for a premium company to build a car like this, the German brand is actually a big producer of utility vehicles. And it all started more than 100 years ago! Long before his company developed into a luxury car manufacturer in the 1930s, Karl Benz actually built buses. 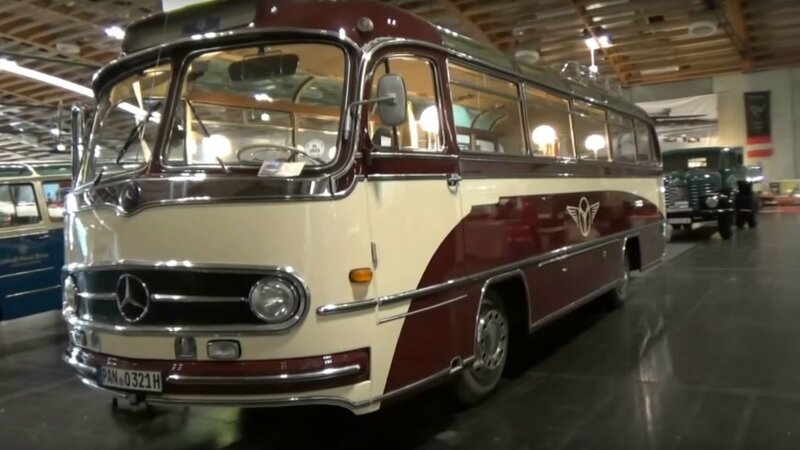 He unveiled the world’s first motorized bus back in 1895 and actually competed against Gottlieb Daimler, soon to become his partner, in this field, with both exporting vehicles to England and Wales. Daimler and Benz merged into one company in 1926 and the success story of Mercedes-Benz began. 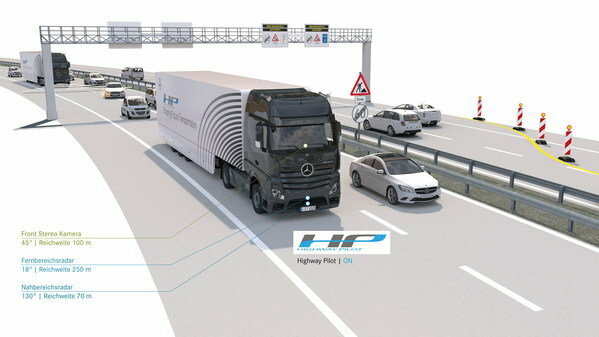 Mercedes-Benz has completed landmark testing in its home country of Germany thanks to its cutting-edge automated driving system called Highway Pilot and its standard production Actros transport truck. Yep, the self-driving truck just completed the nine-mile journey between Denkendorf and Stuttgart while piloting itself down the autobahn. This test is the latest feather in Mercedes’ hat of automated driving technologies it is pioneering for the commercial trucking sector. The leather-lined luxo trucks of today are a far cry from what pickup trucks used to be; hard-working tools designed to get the job done with little in the way of creature comforts. 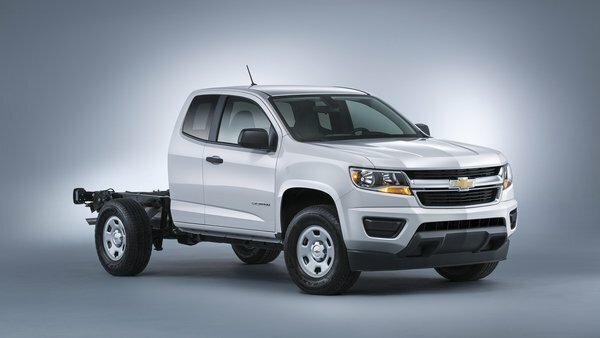 Well, Chevrolet has just announced it is now offering a workin’ man’s edition to the 2015 Colorado midsize truck. The new box delete option does what its name promises by removing the pickup box in order for customers to install the utility box or flat bed of their choice. 2015 Chevrolet Colorado Box Delete Package originally appeared on topspeed.com on Wednesday, 4 March 2015 13:30 EST.